Labeling your cartons and packages can be one of the most labor intensive – and expensive – aspects of your production line. If you’re currently incurring the cost of labels and ribbons, you stand to save thousands by implementing a more streamlined – and better integrated – labeling system. Two products from AT Information Products (ATIP) can help reduce your costs and, even better, alleviate the burden associated with traditional labeling systems: the iJET Printer and the X1Jet AUTOPRINT system. 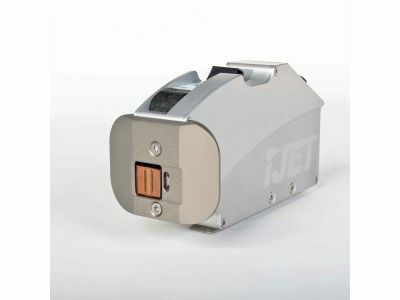 The iJET Printer is a compact, customizable printer that allows operators to select from hundreds of labels and gives them the ability to input essential data, such as lot numbers and batch codes. Ideal for a range of applications, including those in the pharmaceutical, food and consumer goods industries, the iJET is available in four versions, allowing you to choose exactly the features that you need, from an on-board multi-tasking system to a HiSpeed mode. The X1Jet features ATIP’s AUTOPRINT system, allowing for very fast, highly configurable and extremely low maintenance printing routines. With almost no training necessary, the system can integrate seamlessly into your line, immediately saving you money on the cost of labor, maintenance and materials. Additionally, the system’s compact design preserves your floor – and line – space, giving you more opportunities to expand your line or integrate additional packing technologies. At Technical Packaging Systems, our goal is to save our clients time and money. Working closely with all of our clients, we strive to understand the challenges that they are facing and aim to overcome those challenges by integrating smart, cost-efficient packaging systems. By offering a range of versatile printing systems from ATIP, we are able to achieve this goal, helping to reduce material, labor, and maintenance costs. If you’ve been looking to increase the speed, lower the cost and improve the accuracy of your labeling, please contact us today to discuss how we can help.